It's autumn. Where have all the eagles gone? 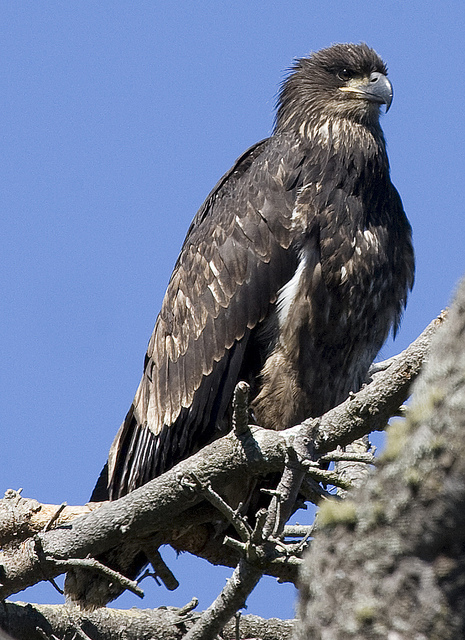 Only a few weeks after young Bald Eagles fledge from their nests, the parents leave the area as well. 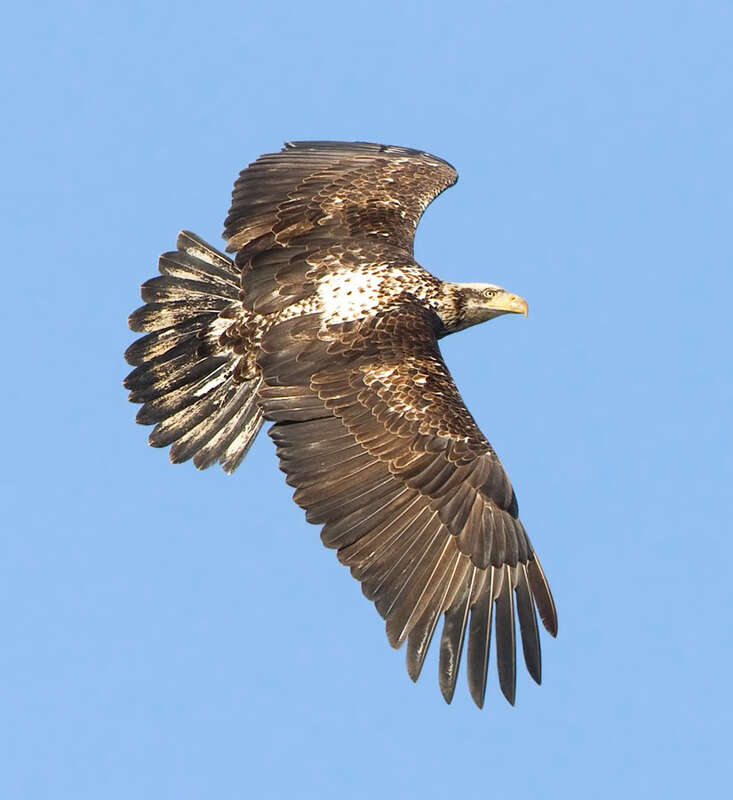 Bald Eagles do a kind of "fall walkabout," leaving their nesting territories for better foraging areas. 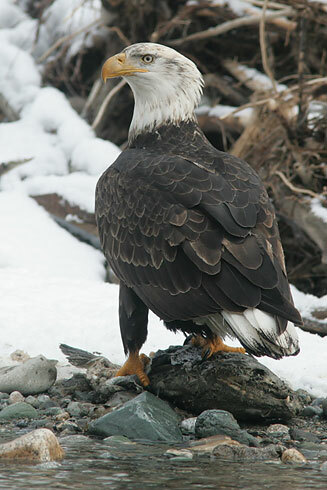 In winter, eagles gather by the hundreds along rivers across the northern United States and Canada, some to gorge on spawned-out salmon. To become a BirdNote benefactor, please begin here. Are you missing the eagles? If a Bald Eagle nest lords over your neighborhood or you encounter a nest on a favorite walk, you’re probably aware that the eagles are gone. Only a few weeks after the young eagles leave the nest, the parents vacate as well. Well, Bald Eagles do a kind of “fall walkabout,” leaving their nesting territories for better foraging areas. That may mean a river near the Northwest coast, with a fall salmon run. 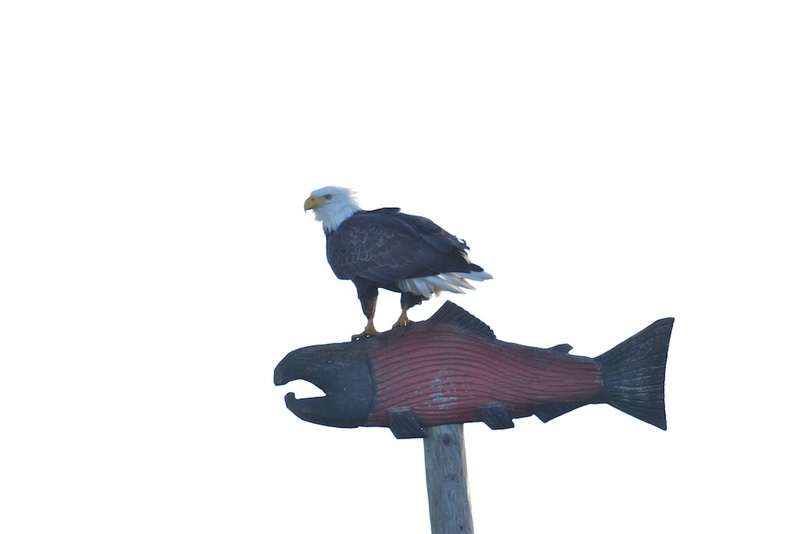 Eagles gather by the hundreds along these rivers to feed on spent salmon. And the pickings are so abundant that, after gorging themselves early in the day, the eagles sit quietly in riverside trees for hours, like avian statues. 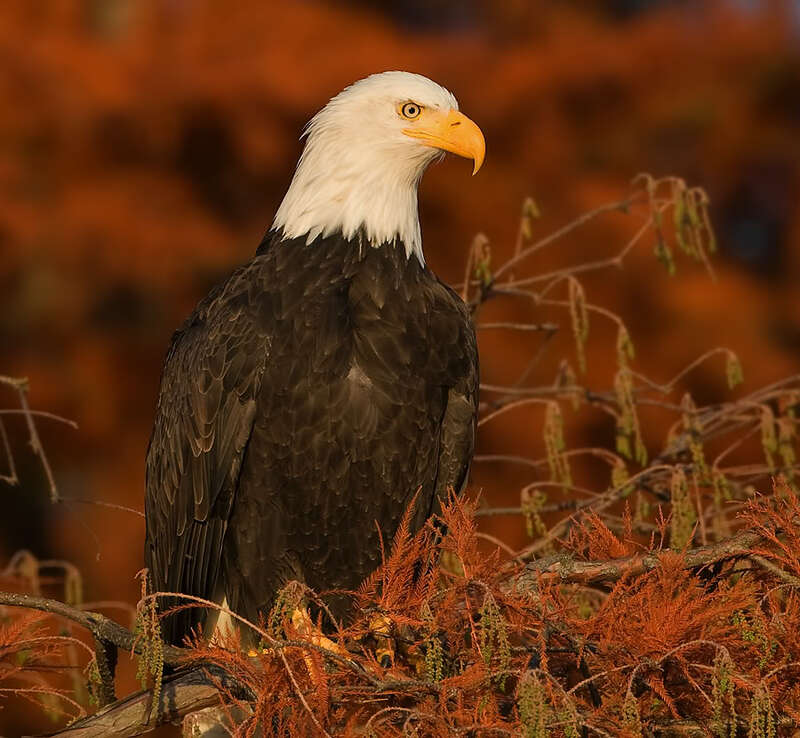 Many other eagles follow the Missouri or Mississippi Rivers, or find their way down the Atlantic Coast. After spending the fall and early winter along these productive rivers and shores, Bald Eagles will return to their nesting territories. They’ll arrive rejuvenated and ready to begin a new breeding season. No matter how big or small your gift, you can help feather BirdNote’s nest, because your donation to BirdNote makes this show possible. Learn more at BirdNote.org. I’m Mary McCann.